A clinical trial is underway for the MicroStent microvascular device, which is designed to open occluded arteries and prevent below-the-knee amputations. To accelerate study of the MicroStent microvascular device and other new technologies designed to prevent amputation, MMS has assembled six world leaders in treating peripheral artery disease and critical limb ischemia. 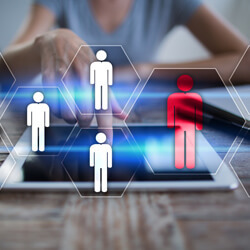 Micro Medical Solutions is pleased to announce an organizational change that includes the promotions of three key members of the company’s executive team. 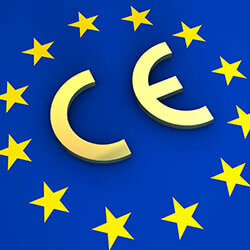 Wilmington, MA February 10, 2017—Micro Medical Solutions announces it has received European CE Mark approval for the MicroStent, the third of its key innovations to receive CE Mark in the last year. Wilmington, MA March 16, 2016—Micro Medical Solutions announces it has received 510K approval for one of its key interventional innovations. 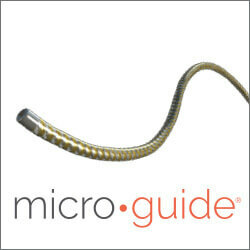 “The MicroGuide offers a best-in-class 3Fr design with optimal push, support, and stability with enhanced flexibility for segment-leading device deliverability and support,” says Gregory Sullivan, CEO of Micro Medical Solutions. Wilmington, MA March 14, 2016—Micro Medical Solutions announces it has received European CE Mark approval for two of its key innovations. “This approval paves the way for the final stage of development for our proprietary Micro Vascular Integrated Platform,” said Gregory Sullivan, CEO of Micro Medical Solutions. Wilmington MA, February 2016—Micro Medical Solutions, a pioneer in interventional innovation in the treatment of critical limb ischemia (CLI), today announced that one of the most respected experts in the treatment of peripheral artery disease (PAD) and CLI, Dr. Jihad Mustapha, M.D., has joined the company as Chief Medical Officer. 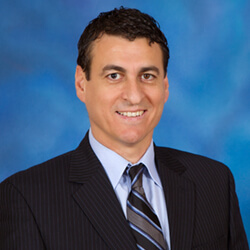 Dr. Mustapha is a global thought leader for the treatment of patients with CLI, as well as amputation prevention. With a longer, more robust access system and new stent sizes, physicians have more options to access and open arteries affected by critical limb ischemia and prevent lower-leg amputations. 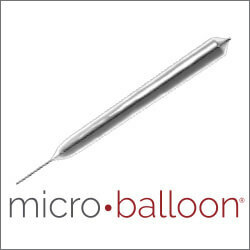 WILMINGTON, Massachusetts, November 5, 2018 — Micro Medical Solutions (MMS), an innovator in the field of microvascular interventions designed to improve clinical outcomes and quality of life, announced today that it has received CE Mark approval for a 4Fr.-compatible MicroStent 120 cm delivery catheter, as well as MicroStent devices in five lengths and five diameters to meet individual patient needs. MicroStent is a vascular stent specifically designed to reduce below-the-knee amputations caused by critical limb ischemia (CLI) resulting from peripheral artery disease. Peripheral artery disease can make it challenging to navigate small, calcified blood vessels in the lower leg. Using the new 120 cm MicroStent catheter, physicians will now have multiple access points above the knee, expanding and optimizing the treatment options for CLI. In addition, the newly approved MicroStent sizes of 8mm,15mm, 25mm, 40mm and 60mm will allow physicians to choose the stent length based on the best fit for each patient’s diseased artery, allowing for a more customized approach. 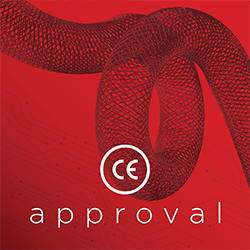 CE Mark approval of the 120 cm delivery catheter and multiple MicroStent sizes are the latest in a series of accomplishments for this limb-saving technology. 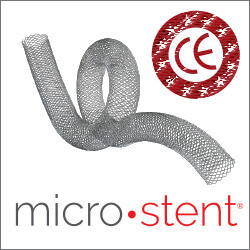 MicroStent achieved CE Mark approval in 2017, followed by the first case in the U.S. in 2018. The company is currently concluding a Phase I FDA clinical trial, with results expected as early as December 2018. Physicians interested in learning more about the MicroStent’s development can attend Dr. Beasley’s CME presentation on the device’s feasibility study at the Vascular Interventional Advances (VIVA) conference, held November 5 – 8 in Las Vegas. Peripheral artery disease and critical limb ischemia (CLI) affect millions each year. It has been estimated that nearly 25% of CLI patients will undergo major amputation,1 and amputations due to CLI continue to escalate.2 For more information on CLI, visit www.micromedicalsolutions.net. References: 1. Henry AJ, Hevelone ND, Belkin M, Nguyen LL. Socioeconomic and hospital-related predictors of amputation for critical limb ischemia. J Vasc Surg. 2011 Feb;53(2):330-9.e1. 2. Baser O, Verpillat P, Gabriel S, et al. Prevalence, incidence, and outcomes of critical limb ischemia in the US Medicare population. Vasc Dis Mgmt. 2013:10;E26-36. 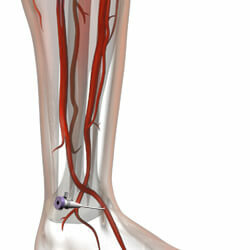 Micro Medical Solutions is on a mission to provide solutions to some of the most pressing unmet needs in microvascular intervention by helping to significantly reduce the rate of amputations, improve clinical outcomes and patient quality of life, and minimize the financial and human costs associated with the treatment of peripheral artery disease and critical limb ischemia. For more about Micro Medical Solutions, visit www.micromedicalsolutions.net. Peripheral artery disease (PAD) and critical limb ischemia (CLI) affected 215 million people worldwide in 2015, predicted to be 230 million by 2020.1 CLI currently afflicts 2.8 to 3.5 million of those with PAD and is projected to rise to 4.5 to 5.6 million.2 Rates of amputations in the general population with PAD are declining, but amputations in CLI continue to escalate. 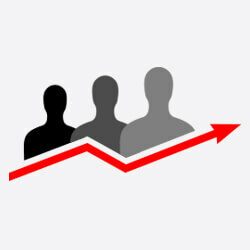 It has been estimated that 25% of CLI patients will undergo major amputation. Prognosis with respect to limb preservation in CLI patients is poor, particularly in no-option CLI patients, where six-month major amputation rates have been reported to be as high as 50%.3 If something doesn’t change, the number of amputations due to CLI could exceed one million by 2030. References: 1. 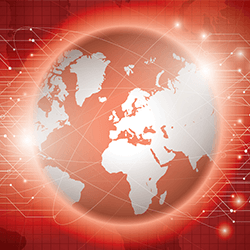 Global Peripheral Artery Disease Market: Trends & Opportunities (2015-2020), February 2016 (Page 19). Daedal Research Group. 2. Critical Limb Ischemia. Volume 1 United States Epidemiology, 2010. Accessed at http://thesagegroup.us/pages/rep[orts/cliepiusreprot.php., October 14, 2016. 3. Teraa M, Conte MS, Moll FL, Verhaar MC. Contemporary Reviews: Critical Limb Ischemia: Current Trends and Future Directions. J Am Heart Assoc 2016; 5: e002938.